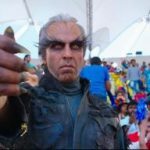 Mumbai: Akshay Kumar, who had never spent much time in the green room in his career spanning over a couple of decades, ended up spending hours to transform into his character for Rajinikanth starrer 2.0. Akshay had to undergo a mammoth session to get prosthetics and mask fixed to his face and slip into the costume meant for his character. 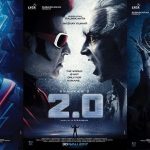 Though the makers haven’t yet revealed the name of the character Akki is playing, it is evident he is essaying the main antagonist. The hunk of an actor shared a video on Twitter that shows him undergoing the massive make-up session to get his look right. 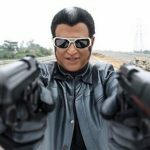 For the unversed, the Bollywood superstar will make his Tamil movie debut with the Shankar directorial. It will also mark his first onscreen association with Rajinikanth. 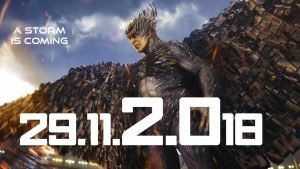 2.0 bankrolled by Lyca Productions also stars Amy Jackson (as the female lead), Adil Hussain and Sudhanshu Pandey in supporting roles. The makers of the film have left no stone unturned to promote the film which promises to showcase world-class VFX a la Hollywood style. The film is slated to release on November 29. 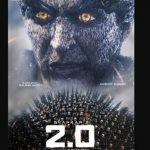 Apart from 2.0, Akshay has ‘Kesari’, ‘Mission Mangal’, ‘Housefull 4’ and ‘Good News’ in his kitty.